Trying to remove an iCloud account from your iPhone can be frustrating when you don't know the password or cannot contact the previous owner. Apple does not support any easy official ways to get it done without password. But if you do want to bypass that, you're in luck: follow this simple remove iCloud account from iPhone hack and you'll be worry-free in no time. If you want to know the best way to remove account iCloud from iPhone, then you need to download iMyFone LockWiper. 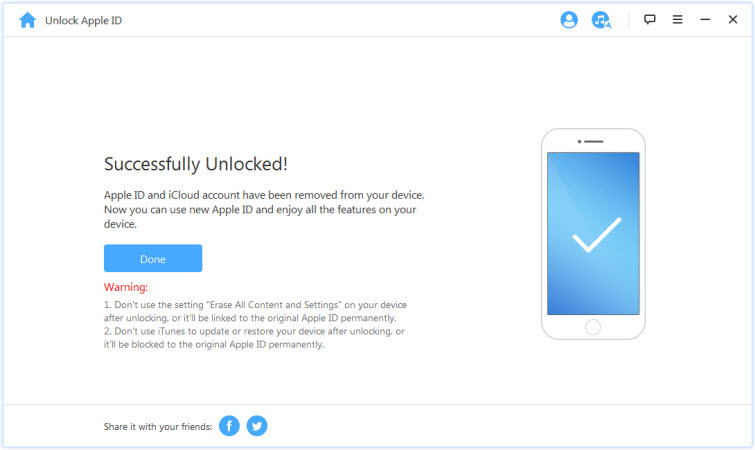 This fantastic program is the answer to many people's pleas for an easy, fast, and reliable way to remove their iCloud account from an iPhone without any passwords - among numerous other amazing things that this program can do. Able to engage in iCloud account removal without password from any Apple devices. After removing, you can login with a different iCloud account and enjoy any iCloud services. 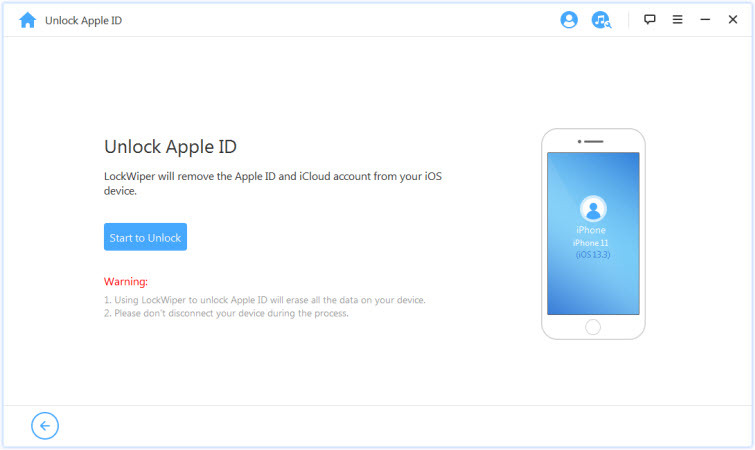 Your iPhone won't be tracked, blocked or erased remotely by the previous iCloud account after removing. Capable of bypassing screen passcodes on devices that are disabled, locked or have broken screens. Completely automated - no technical skills necessary. Step One: Download the program to your computer and launch the program. Step Two: Select the "Unlock Apple ID: remove Apple ID from iOs device" option. Connect your device to your computer with the device screen unlocked. If the option appears on your phone, select "Trust." 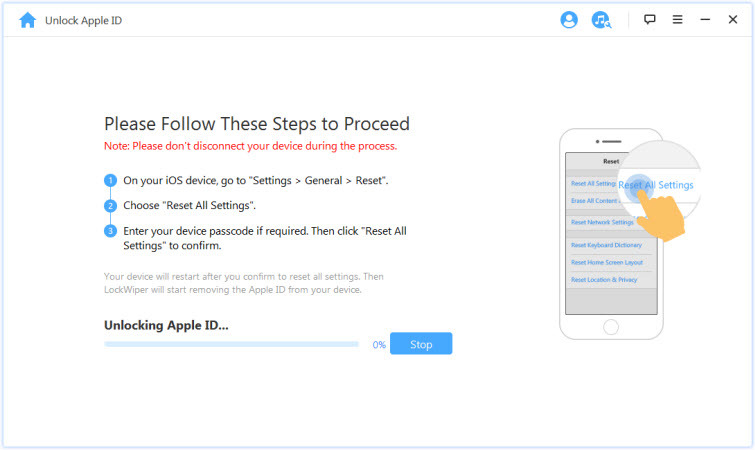 Step Four: Select "Start to Unlock" in order to begin the process of removing your apple ID from your device. Step Five: Wait for the program to work its magic. Note: In some cases, you may need to do an extra step. If the 'Find my iPhone' feature is enabled on your phone, then you will have to reset every setting on your phone in order for iMyFone LockWiper to work properly. Go into the "Settings" menu, then select "General," then select "Reset All Settings." The phone will automatically restart and once it does, the iMyFone LockWiper program will begin to work. 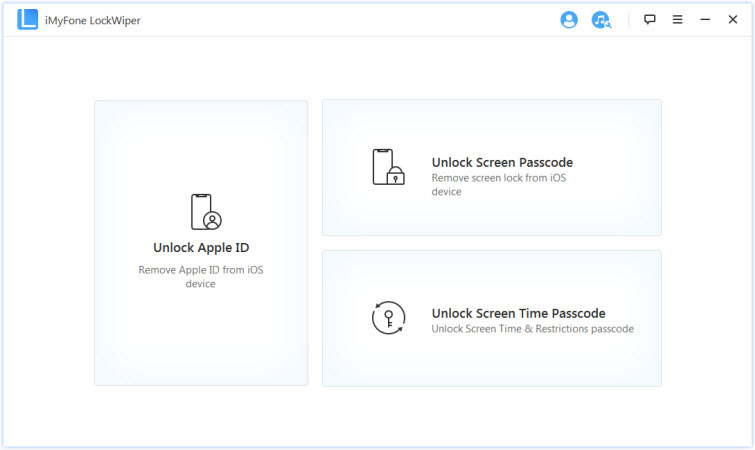 DoctorUnlock.net is a online tool that enables iPhone users to permanently unlock their iCloud account without fear of risking their warranty or the iCloud unlock reverting. To unlock your iCloud account, you'll have to first make a payment of $28 and $42. Once you place your order, you'll need to wait for 1- 3 business days to get your iCloud account unlocked. Go to DoctorUnlock.net and you'll see "Select your iPhone Model" on the homepage. Choose your iPhone model from the drop-down list. On the second text field, you'll see where to enter your IMEI number. Click on "Unlock Now!" and an email will be sent to you confirming your payment. You'll have to wait at least 48 hours for your iCloud account to be permanently unlocked. 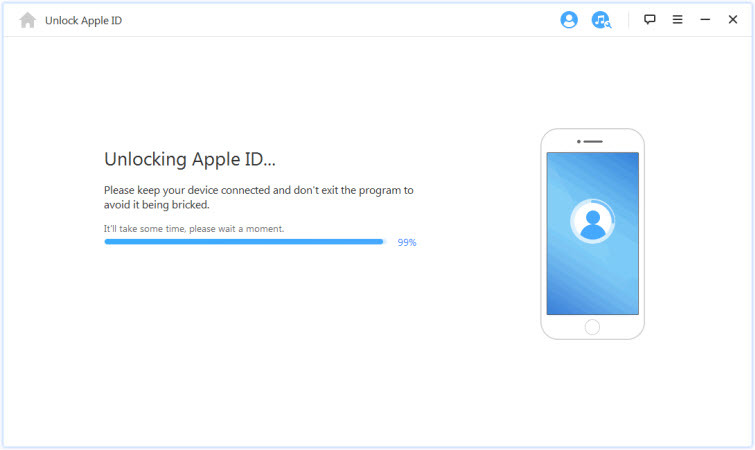 Cellunlocker is another online tool that you can use to unlock any iDevice. It removes your iPhone from the previous owner's iCloud account. It also enables you to use your device normally with your own Apple ID. Cellunlocker supports all iPhone models including the latest iPhone X. iPod, iPad, Apple Watch, MacBook and iMacs are also supported. iCloud activation lock can be resolved within 72 hours and the pricing starts at $27. Visit cellunlocker.co.uk and select your iPhone model from the drop-down list. Once you've entered your iPhone model, on the other text field, enter your iPhone's IMEI number. Tap the "Unlock Now" button and a confirmation email will be sent to your email address. You'll have to wait at least 72 hours to get the iCloud account removed. Although there are multiple options for removing your iCloud account from your iPhone, the other options tend to be expensive, more time-consuming, and unnecessarily complicated. The best way to remove your account is by using the easy iMyFone LockWiper program to get your iCloud account removed fast and with no fuss.